The American Academy of Pediatrics provides guidance on how physicians can improve their coordination of care for hospitalized children in a clinical report published in the August 2018 issue of Pediatrics. The report, "Physician's Role in Coordinating Care of Hospitalized Children", acknowledges the challenges posed at various hospitals, where processes of care may differ from one facility to the next. In some hospitals, a team of medical professionals and specialists are responsible for a child's care, while at others, the primary physician serves as the main care provider. Patients with multiple special health care needs may be vulnerable to fragmentation of care that can result in communication lapses. 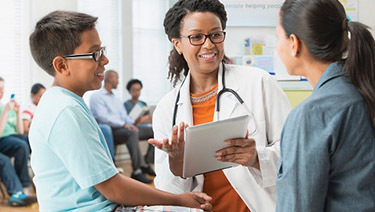 The AAP recommends that physicians responsible for the hospital admission coordinate the patient's care throughout the stay and upon discharge through direct communication with the child's primary care physician. The admission to the hospital also provides an opportunity to review the general health background of the child, who may not have access to primary care, according to the report. Recognizing that the hospitalization of a child is a stressful event for the child and child's family, the AAP report states that the physician's role is to minimize trauma while maximizing the benefits gained by hospitalization.